I was brought up in Chepstow, Monmouthshire, though my parents were from Pembrokeshire. I graduated in Music from the Royal Welsh College of Music and Drama and the Royal Academy of Music before embarking upon a career in opera. Under the name Beth Michael I worked with companies including Scottish Opera, Welsh National Opera, English National Opera, Wexford Festival Opera, Bayreuth Festival Opera and English Touring Opera, singing roles ranging from Madam Butterfly, Tosca, Manon Lescaut, the Merry Widow to Cenerentola and Carmen. 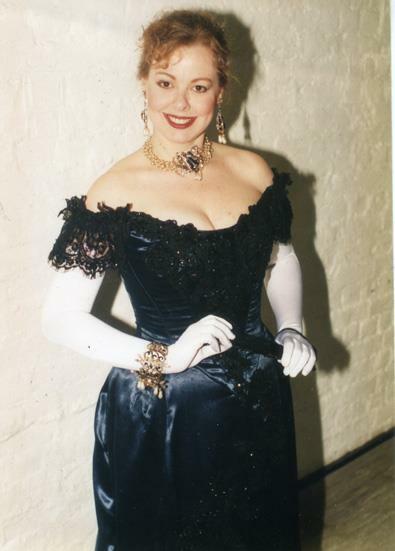 For many years I sang with the Royal Opera, Covent Garden, where I met my husband Alan, who worked there as a stage technician . At the age of eleven, I had to make the choice whether to study music or art, and although I’d experimented with silk painting, it was not until we moved to Trefin in North Pembrokeshire, when I retired from singing, that I was finally able have a go at something I’d hankered after for years – painting on canvas and paper. 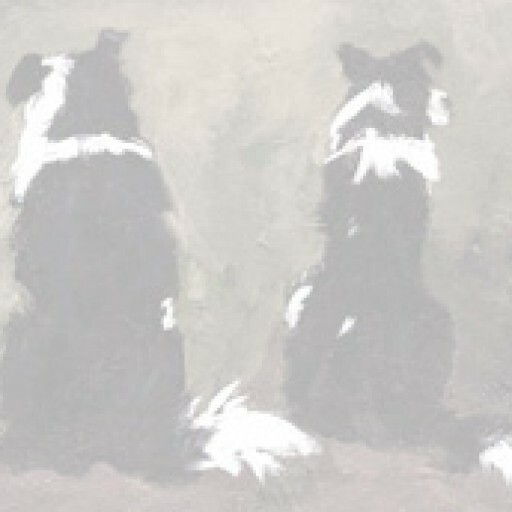 From the first, I’ve been lucky enough to find a ready audience for my work, and I have exhibited both locally and nationally, and a few years ago was I was one of only 100 artists across Britain invited to take part in the prestigious Discerning Eye/ING Platform 100 exhibition in London and touring throughout England. My husband Alan (who, very conveniently, is now a picture framer!) and I now live in the foothills of the Preselis with a menagerie of border collies and cats. As I’m self taught, I’m not sure what I SHOULD be doing, but basically, I just shove loads of paint on until it looks right. I tend to destroy brushes, as I’m very heavy handed with them, so like to use a palette knife and fingers. A damp cloth is also useful for blending or for removing paint. If I want to paint a scene, I spend a lot of time just observing light effects and what the colours the different times of day bring out. I’ll take a photograph for the landmarks, and sometimes do a sketch in situ, then work in my studio. The photograph is printed out with low resolution or greyscale, and I put it aside once I have the picture blocked out on the canvas/paper. Then I start to move the paint around. This sometimes removes the landmarks I’ve blocked out; but if it looks ok, I’ll just go with it. If you look at any view in sunshine, try nearly closing your eyes – you’ll sometimes see the refracted light through your eyelashes – it’s a reminder that our brains will filter the green of grass, for example, to be fairly uniform. But actually, if you really look, you can see blues, reds, yellows, purples, browns as well as loads of greens. I love the impressionists – Manet, Monet , Degas, etc. etc. – basically all of the ones that create effects with light and colour, and I have to make a conscious decision not to look at too much Turner, in case I produce clones…. Another master of light is Andrew Wyeth. Where he lived, the light is very cold so colours are muted and subdued, but he has a great variation in his limited palette, with great use of light and shadows. Since 2002 you’ve been able to find me and my work at the Oriel Glan y Mor Gallery in Fishguard. This spring, however, I packed my bags (and boxes and vans) in order to work from home. I’m hoping at some point to have some sort of studio that people can come to, but that’s after we finish some other essential building work in the house. I have some solo exhibitions scheduled for later in the year, at Picton Castle, The Newport Tourist Information Centre; then group exhibitions at Waunifor, Cardigan, and St Davids, and I’ll be sending work as usual to the Makers Mark in Newcastle Emlyn and the Victoria Fearn Gallery in Cardiff, and the Mill in Trefin. At last, I’m finally in the position to accept other invitations to exhibit that I have not been able to fulfill in the past!